Budapest, 2015. 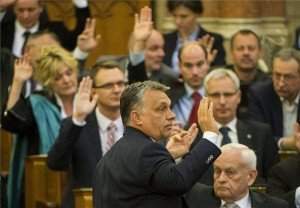 April 4, Saturday (MTI) – Jobbik calls Fidesz to end the hate campaign, which serves to mislead voters and discredit the Jobbik candidate, before Tapolca interim parliamentary election – Gyorgy Szilagyi, Jobbik MP said in Budapest on Saturday. The opposition politician also called the bigger governing party at the press conference “to revoke its illegal militia from the district”, which was defined as Free Europe Militia (SZECS) by the MP. He said their activists had caught SZECS members while they had been distributing such leaflets without imprint, which serve to discredit the Jobbik candidate. They filed a complaint in the case – he added. Gyorgy Szilagyi said: it is now clear that two hateful, corrupt parties compete with the only fair party, Jobbik on the Tapolca election. 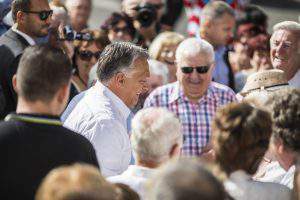 While Fidesz has already grown in matters concerning corruption and illegal cases, it has also preceded the Socialists in cowardly, anonymous slurs and hate campaign – he said. 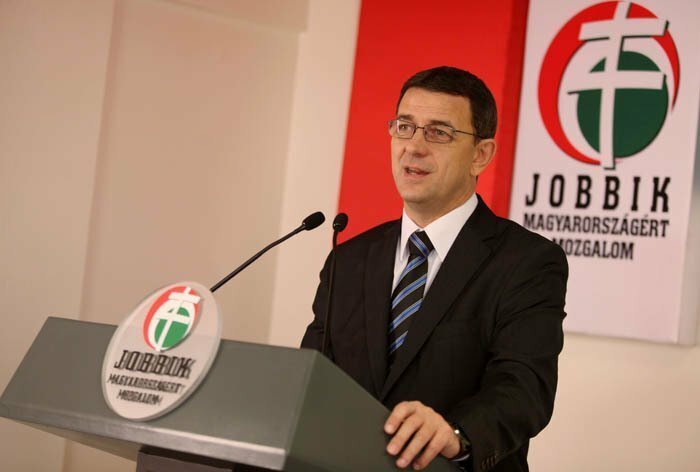 The Jobbik MP – citing press news – said that SZECS members had repeatedly busted during various elections, they often pass themselves off as activists of other parties, rip off other parties’ posters. 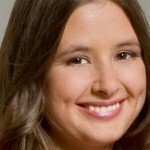 All this is part of the “black economy”, according to information from the press because they are paid out of the pocket – the opposition politician said. According to him, it raises the question whether Fidesz also has a secret safe deposit for the “dirty money”? One would expect the authorities to file a lawsuit in order to detect the activities and financing of SZECS – Gyorgy Szilagyi said.